The Latin name for sea stars" echinoderm" literally means "spiny-skinned". This starfish really fits the name! The German name "Kamm-Seestern" refers to the comb like appendages. 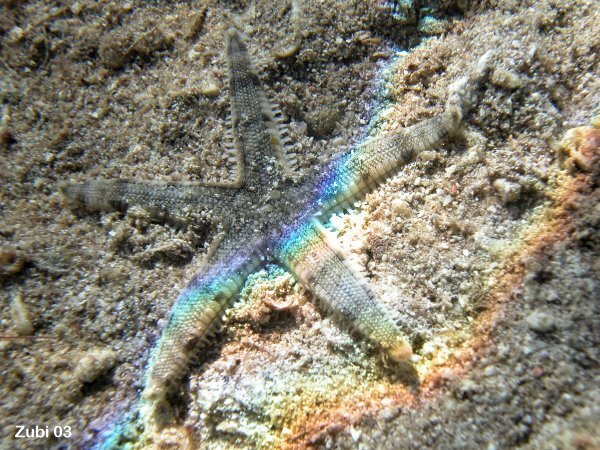 This sea star lives on sandy areas and if in danger it buries very quickly.